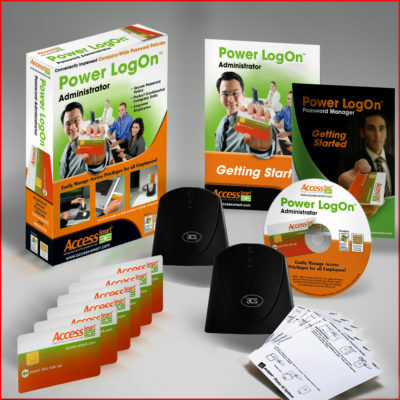 Power LogOn® by Access Smart is a powerful cybersecurity and access control solution that protects business networks and assets with advanced single sign-on and centralized password management. Unlike other Single Sign-On (SSO) solutions, Power LogOn employs Multi-Factor Authentication to fight perpetrators at the most vulnerable point of entry – The Front Door. Power LogOn demands user authentication before the firewall, which means before the computer is even powered on. Why? Because by the time criminals gain access behind the firewall, it is already too late. Employees must prove their identity with multiple factors of authentication, including but not limited to the M.O.S.T. Card® Smart ID Badge by CardLogix, leveraging advanced microprocessor smart card technology. The authentication process is aggressive, but the experience is fast and convenient for the user. Power LogOn manages employees’ passwords for companies’ systems and resources, so that they don’t have to. The solution eliminates the weakest link of any security system – the Human Element. Fully-authenticated, authorized employees can access multiple company resources without having to re-enter passwords, such as: the local or cloud-hosted server, websites, applications, and protected data files. With Power LogOn, employees don’t need to remember, type, manage, or even know passwords to access a company’s resources. The solution puts the IT Administrator back in full control to easily manage long and complex passwords, as well as frequent password changes – without any employee involvement. The Power LogOn Installation Kit allows IT to fully test for network compatibility and product functionality with no financial risk. There are no back end server hardware modifications required. No “Rip ‘n’ Replace” of existing security investments. Secured passwords continue to be a reliable factor of authentication when paired with other factors (for example, “what you know” and “what you have”), and only when they are properly managed. Password Management is a serious concern for any IT department. When employees leave passwords on sticky notes in plain view because they can’t’ remember their passwords, this creates the easiest and most common way for a perpetuator to enter your system. Therefore, IT managers must remove the responsibility of password management from employees’ hands. 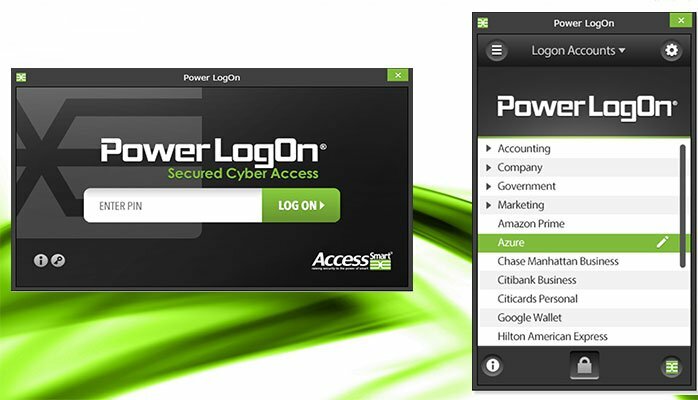 Power LogOn allows certified IT professionals to manage single, user-account passwords safely and properly. Power LogOn’s rigorous, multi-factor authentication process is what enables secure, single sign-on password management. Without it, companies are putting their systems and assets at risk. Before a user is authorized to access the computer, network, and other company resources, the user is rigorously authenticated. In other words, the user must prove that he or she IS who he or she claims to be. The most effective and reliable method to authenticate a user and verify his or her identity, is by using multiple factors of authentication. The employee presents their Smart ID Badge (smart card/chip card) to the card reader that uniquely belongs to that authorized user. The smart card contain a very long, unique password that they server authenticates. The card must remain in place, or the user will be kicked out of the system, meeting common HIPAA requirements for hospitals. The employee also types in a 6 PIN or longer password that only he or she knows. This is the only password this employee will ever need to remember. Power LogOn must recognize the smart card and the password for the authorized individual before the user can proceed. The unique ID and keys found in the smart card is one factor of authentication. The card is what the employee Has. The password is the second factor of authentication. This factor is what the employee Knows. Biometrics, such as fingerprint, iris, and face templates, can be added to the card for a third factor of authentication, that binds the user’s identity to the card itself. The Power LogOn Installation Kit allows IT to fully test for network compatibility and product functionality with no financial risk. There are no back end server hardware modifications required. No “Rip ‘n’ Replace” of existing security investments1. After successful testing, complete roll-out is easy. There is no additional software to purchase or network integration required. 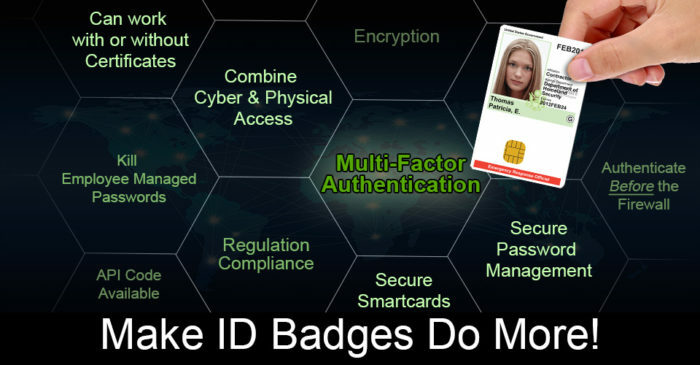 Power LogOn functions as an add-on application to existing ID badges. HR has only one badge to issue, employees have only one badge to carry, and IT has no addition cards or dongles to stock, issue or manage. Employees self-enroll into the Power LogOn system from their own computers. This eliminates the need for IT to collect and re-issue badges, or having to set up enrollment stations. Full server integration with LDAP, Active Directory, Terminal Services, VPN, SQL Servers, etc. Combine with existing physical access, ID cards, e-payment, etc. Log onto computers, networks, clouds, applications, internet. New applications and technologies can be added without losing any previously stored application data. Power LogOn can be added to deployed cards without having to re-badge. Power LogOn® APIs allow easy integration with third-party client and server-based applications. Passwords available on any computer running Power LogOn. Full Documentation to fully test, configure and manage a smart card enterprise Single Sign-On password manager for multi-factor cyber authentication. Do you want your ID Badge to do more? Using the same Employee ID Badge, you can add Time & Attendance, ePurse for Stored Value, Physical Access to Secured Areas (PACS), eSignatures, Biometrics, and so many more. Unlike other card technologies, a microprocessor smart card is a small computer that you carry around in your wallet, purse, or that you clip to your clothing. Since it is a computer, why not utilize its power to do more than one thing with the same card? The possibilities are endless. 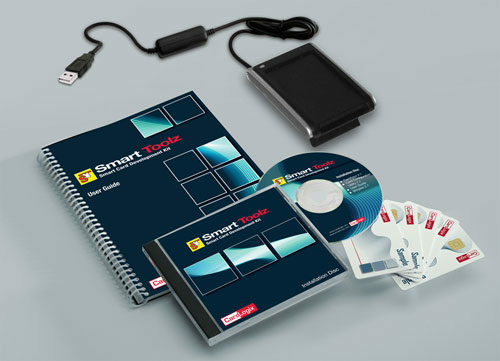 CardLogix Smart Cards are versatile and can be custom-made to meet Your Unique Requirements. CardLogix is a full-service card manufacturer. Cards are built from the inside-out, from card substrate selection and artwork preparation to chip initialization, personalization, and many other card options. CardLogix can build the card that’s right for your application(s). Card options include a variety of card technologies, security graphics, custom design and printing services, and card substrates. 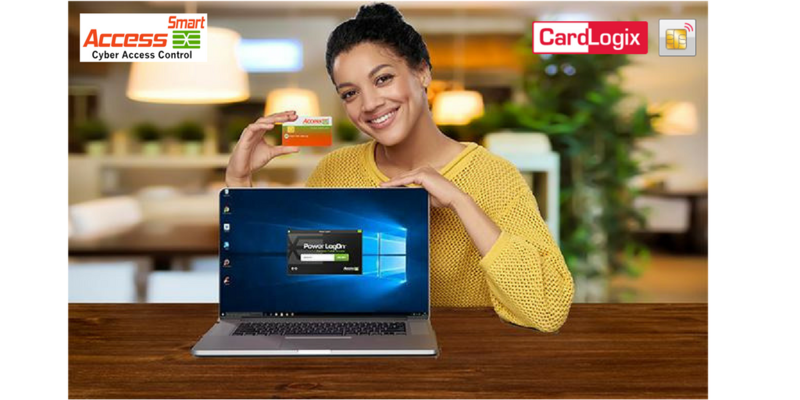 All CardLogix cards can be developed as hybrid cards with both a contact and contactless interface. They can be combined with additional card technologies such as CPU or memory chips, magnetic stripes, 1D/2D barcodes, and MRZs (Machine Readable Zones). Combination cards and hybrid cards expand application possibilities for an infinite number of ID card solutions. This versatility also enables the integration of newer card technologies into legacy readers and systems to protect existing technology investment and lifespan. Add a memory chip or UHF chip/ tag to your smart card for legacy applications, such as payments for catering, vending machines, parking, or transportation; or for physical access systems. CardLogix can provide many chip options, including HID Prox® and 1125mhz proximity. These chips use RFID, NFC, and UHF technologies that follow the ISO/IEC 14443, ISO 15693, and ISO 18092 standards. 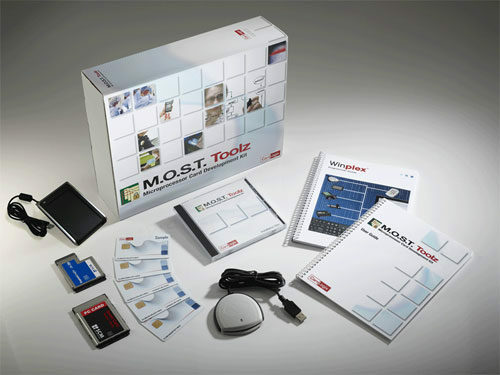 Add a contact chip card, such as one of CardLogix M.O.S.T. Card® C5 or C7 microprocessor chips, for applications that require a secure contact interface. Combine with a M.O.S.T. Card C6 or C8 microprocessor chip for highest-security, high-speed, contactless applications. CardLogix offers a full lineup of magnetic stripe card (magstripe) options. Magnetic Stripes are a useful feature to add to your cards so that they continue to work with existing legacy card readers and software programs. Magstripes are a good option for Loyalty Card programs or Gift Card programs. CardLogix can pre-load custom data on the magnetic stripe or it can be customer-encoded. The magnetic stripe card works in conjunction with the promoter’s software in order to provide the cardholder with special offers, credit toward purchases, and marketing incentives. It s also used in building databases that help analyze buying habits of customers. This information is useful because retailers can better serve their customer base by stocking the products they are most interested in buying. It also has many more uses that offer a wealth of valuable marketing applications. CardLogix can print sequential or custom numbered barcodes using barcodes such as 2D, PDF417, 3 of 9, HIBC, code 128, etc. Barcoding is a popular option that can be added to any card. Most modern retail cash register systems read barcodes at the checkout stand so this is the perfect and fastest way to gather information about customers and to see what they are buying. It is also a great way to manage memberships in facilities and operations that have many cards to flow in and out. Each card is capable of carrying a unique barcode on either the front or reverse side. Another advantage of an ID card with a barcode printed on it is that it can be scanned extremely quickly to identify the user. The same background artwork that you see on every card for a specific program? That’s the primary card artwork. The background artwork gets printed and embedded at the point of card manufacturing. As card layers are stacked together, so is your artwork. CardLogix offers graphic design, artwork preparation, and consulting services for your primary card artwork. Send what you have, and we’ll do the rest. This is what gets printed after your cards are in their final shape. Secondary printing usually involves variable data; that is, data that is different on each card. This includes serial numbers, photo IDs, cardholder data, and more. Security graphics are usually applied to cards at the point of manufacture. They use very specific, high-end printing and engraving technologies that make cloning and fraud extremely difficult for perpetrators. Customers have the option of including a signature panel on the reverse of the card or a digitally scanned signature on the front of the card. Adding a signature panel to your card gives makes it possible to add information on the card at a later time. Tipping refers to coloring tip of the raised or embossed letters with certain colors to make the numbers or letters stand out from the card. Gold and silver colors are available. This option can be added to any card order to help in the identification of a card holder or special program that the number may be referencing. Add your company logo or symbol to your card to increase security or brand awareness. You can also laser engrave a unique or sequential number and/or barcode. These can be pre-printed on cards for purchases off-shelf, or they can be combined with other artwork. CardLogix Holofoil Cards are a cost-effective and non-peelable alternative to holographic laminates for increasing a card’s physical security. The holofoils are embedded within the card substrate, providing a smooth surface with no damage to print heads. CardLogix Holofoil Cards can be purchased off-the-shelf with several designs to choose from, or they can be built to order with your custom designs. ReadyStart Secure Cards are a family of pre-printed ultra-high resolution 2400 dpi security background plastic cards that enable a rapid start in the physical security, personalization and issuance of smart card and eID Credentials. ReadyStart Secure Cards are available off-the-shelf in many popular and industry-specific ID card designs. They significantly reduce the time and expense of custom graphic designing and card printing. Corresponding ReadyStart background templates can be found in CardLogix Card Encoding Engine™ Card Personalization software. CardLogix’ standard card is constructed with white, commercial grade PVC substrate and a mirror-mirror finish for use with desktop printers. Other, higher-end card substrates are available. Commercial Grade Cards are general purpose card bodies for applications such as loyalty and libraries. The majority of PVC cards in your wallet today are made with Commercial Grade substrates, and they are the most cost effective option. PVC is the most widely used material for plastic cards, and has been used for photo IDs for more than 10 years. Low in cost, the smooth surface of photo quality PVC material accepts dyes for high quality ID image printing and is compatible with most laminate materials. PET is a polyester material that was used for many years for the punch laminate style of IDs. It is a crystalline plastic and has higher heat resistance than PVC. Durable and resistant to moisture and chemical attack, the material is typically used as an outer laminate for PVC, composite and Teslin cards. PET is more expensive than PVC, and is generally used as part of a multi-part card construction. These eco-friendly, biodegradable cards are manufactured from corn and based on the (NatureWorks® PLA) material. They look and feel identical to traditional plastic PVC cards. Precision Identity Grade Cards should be used when dimensional tolerances are critical and when the cards will be printed with additional graphic imaging (such as an employee badge). Government Certified Cards are uniquely built to meet ongoing card body certifications and requirements for different governments. CardLogix can help you come through with the toughest cards certified today. Molded ABS SIM Cards are designed for the specific demands of the Telecommunication industry. These cards have a higher Vicat softening point, and are best suited for the high temperatures in mobile devices and are rarely handled by the consumer. Polycarbonate is an extremely durable thermoplastic polymer resistant to high temperatures and impact. Used in items like DVDs and CDs, it is receptive to offset security printing. PC is not compatible with variable printing, such as resin transfer or dye diffusion. When constructed with a very thin transparent laser receptive layer, PC cards can be laser engraved with very high definition graphics. Cards can be assembled with RFID, IC and contactless technology. PC is more difficult to manufacture, and is more expensive to produce than PVC or composite cards. PC cards are primarily used with laser technology to produce black images/text. PC or PC composite cards are typically used for the longest life and/or highest security IDs.